Special Thanks to IamKerri for the PDF’s! 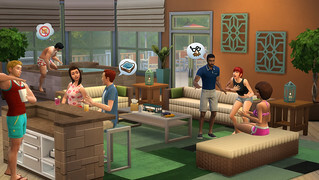 The Sims 4 Perfect Patio Stuff includes a the brand new “Backyard” genre radio station. 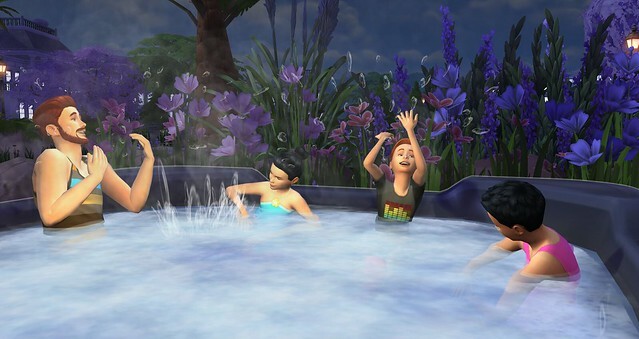 Use the hot tub, stereo, or wall speakers to enjoy the five brand new music songs. 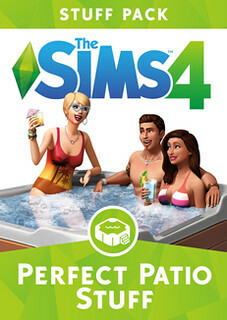 The Sims 4 Perfect Patio Stuff includes a new interactive object: Hot Tubs. 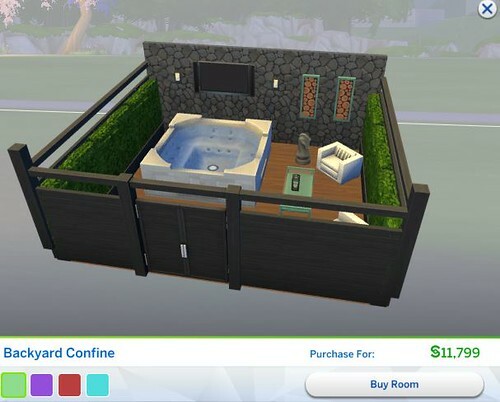 This object adds additional gameplay to the game, including the new Aromatherapy Filter and Hot Tub Woohoo. Upgrading the Hot Tub when leveling up in the Handiness Skill unlocks several upgrade options, including the “Unbreakable” upgrade. 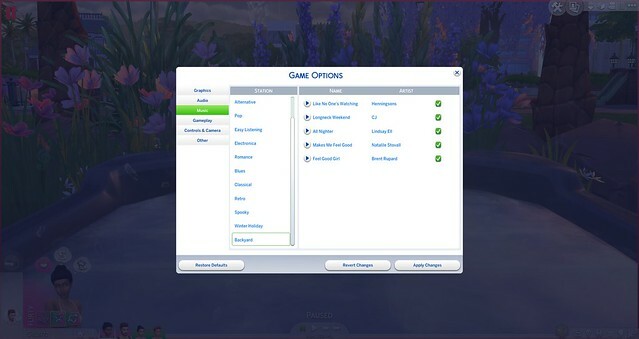 • Aromatherapy Upgrade (Level 3 Handiness) – This upgrade allows Sims to add a moodlet inducing aromatherapy filter, complete with the following aroma oils: Jasmine (Happy), Lemon (Energized), Peppermint (Playful), Sage (Focused), and Thioacetone (Uncomfortable). • Stereo Upgrade (Level 5 Handiness) – This upgrade installs a stereo system for that “extra touch” when using the hot tub. • Unbreakable Upgrade (Level 8 Handiness) – This upgrade prevents the Hot Tub from breaking down. This upgrade is essential to prevent the Hot Tub from breaking during use. ❗ Thioacetone Oil is a hidden oil that unlocks for Sims who have completed the following: Level 10 Mischief Skill, Level 10 Secret Agent or Criminal Career, and the Mean, or Evil Traits. 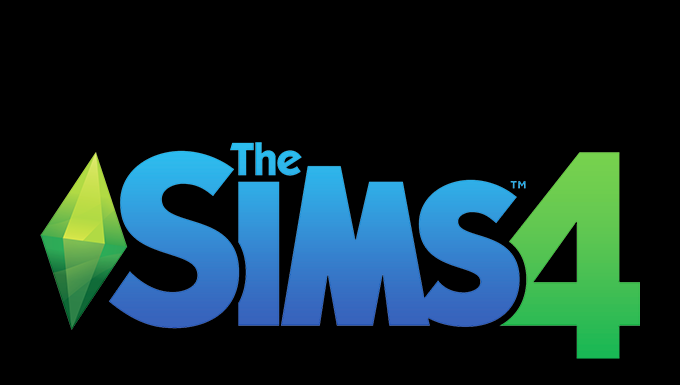 ❗ Beware of mischievous Sims! Thioacetone oil creates a noxious stink, giving all Sims residing in your neighborhood the “Uncomfortable” moodlet for 4 hours. 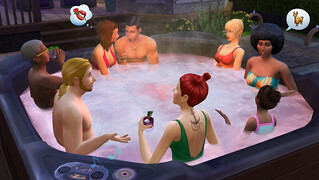 Hot Tubs can seat up to 8 Sims and include a variety of new and recycled social interactions. 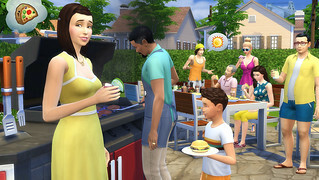 New Interactions include “Skinny Dip”, “Woohoo” (adults), and “Mess Around” (teens). 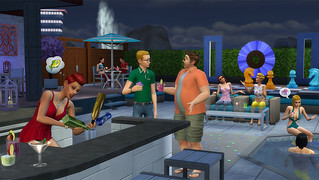 Recycled interactions include many of the Friendly, Funny, and Romantic socials already available to Sims outside the hot tub.